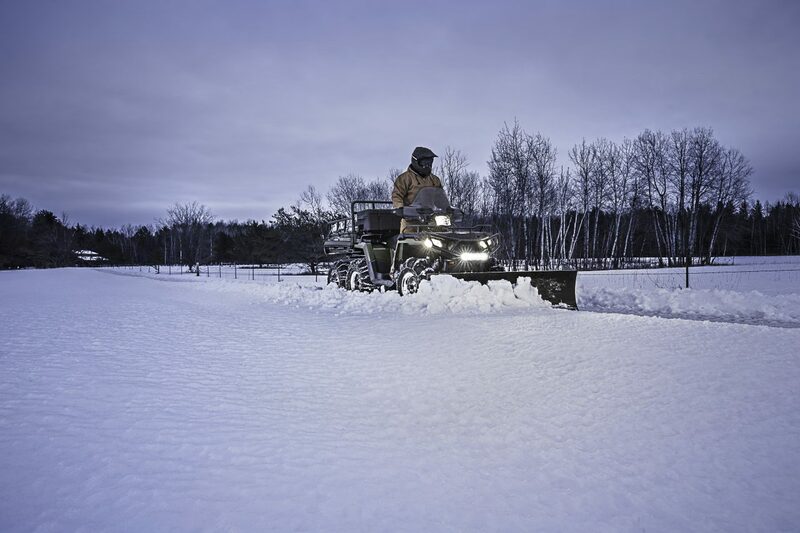 Master the tough jobs of winter with the Polaris PRO HD winches and Glacier plow systems. 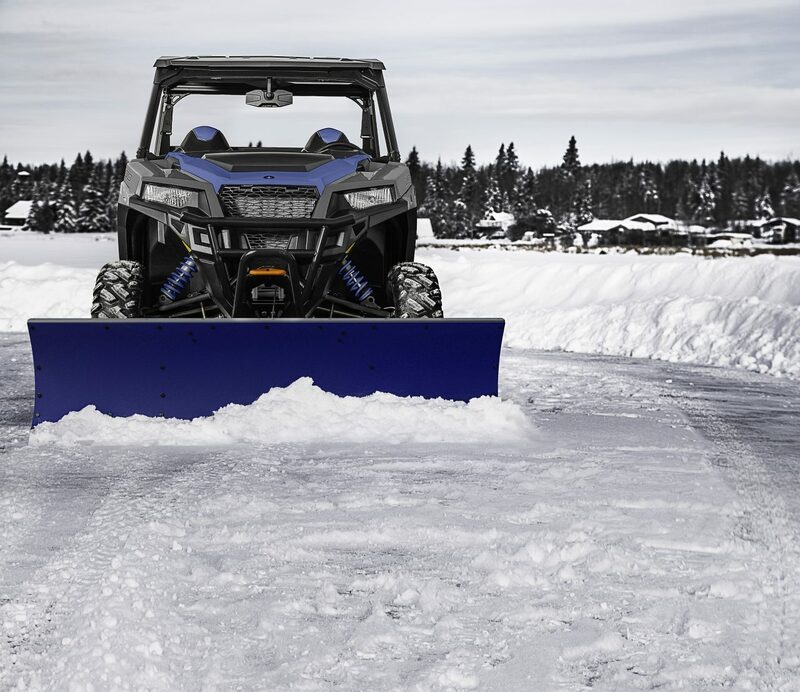 Designed with top-quality materials, rigorously tested to ensure durability, and delivering top-of-the-line performance, the new winches and plow systems are an essential tool for any Polaris off-road vehicle. Straight from the factory, every vehicle has integrated wiring and fitment components for straightforward installation, so more time can be spent completing the task at hand. 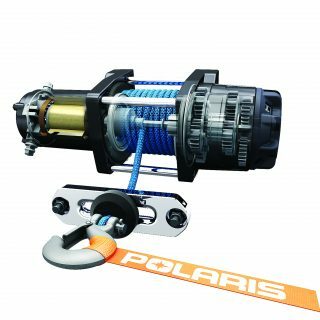 Polaris’ Pro Heavy-Duty winch has remarkable pulling power, and now operates at a higher speed thanks to the brand-new Rapid Rope Recovery technology, achieving five-times faster rope retrieval. Users can adjust the winch pull with ease with the new dial settings; FREE SPOOL (N) mode to attach the winch hook, PULL (L) for top-power winch mode, and ROPE RECOVERY (H) mode for five-times faster and time-saving re-spooling. The Pro HD winch has been built to work in the most difficult situations with strong traction and top-quality components. The 15.25 meter-long, premium rope is made with high-strength synthetic material for enhanced flexibility – the synthetic material is easier work with than steel ropes as the smooth texture doesn’t kink or bind, and it’s easy to handle as the rope is extremely lightweight. The winch has cut steel gears for durability, a corrosion-resistant outer finish and can operate whilst fully submerged under water, due to its sealed magnet motor and drivetrain. 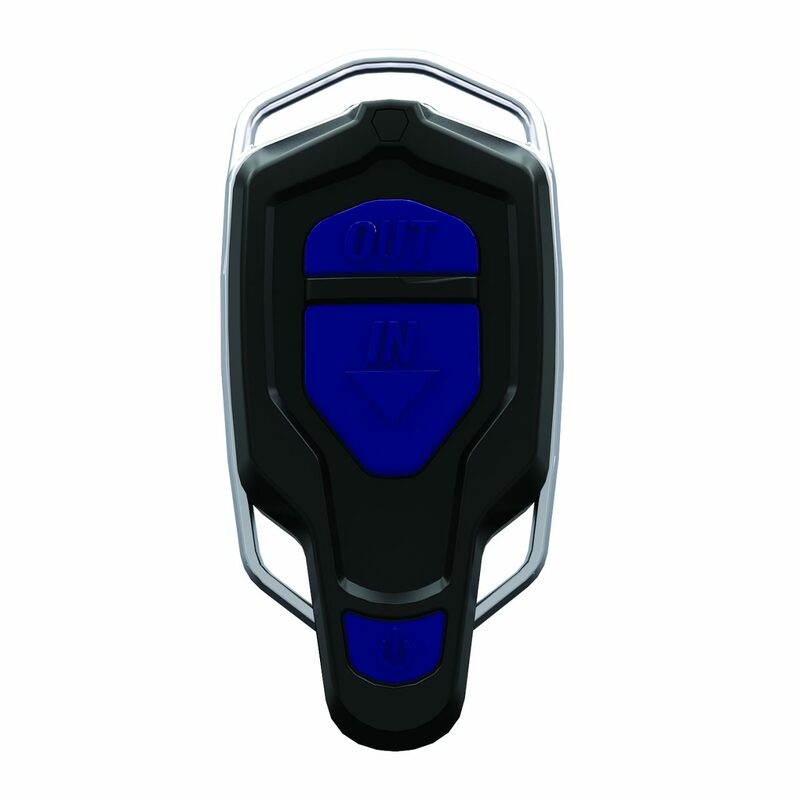 Enhanced auto-stop technology is installed into the Pro HD winch, which stops the winch pull when the fairlead detects the collar attached to the hook – this intelligent technology prevents any stress to the driveline and over-lifting. The winch can also be controlled via a wireless remote control with a 15-meter range, allowing usage even in the most difficult or dangerous situations where it may be safer to control the winch remotely. 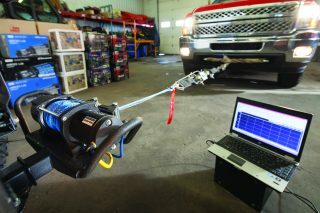 As usual for Polaris Engineered accessories, the winch has been put through military-grade testing processes both in the lab and out on field – the winch was tested with 1,200 pulls at maximum capacity to prove dependability and endurance. 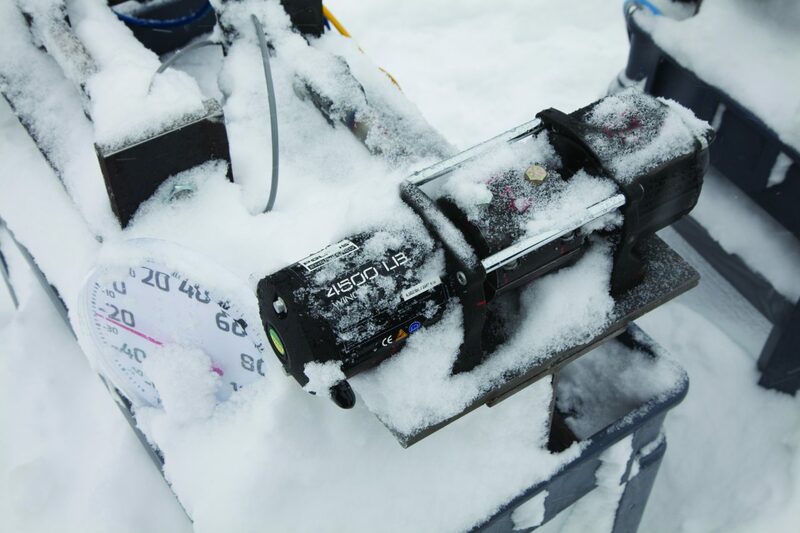 It can also withstand temperatures as low as minus 29 degrees Celsius, so users can have 100% confidence in the winch in the most extreme conditions. In typical Polaris fashion, the installation process is particularly practical and straightforward. Each Polaris vehicle has factory-fitted integrated wiring, and the mount is included, meaning the winch can be installed straight out of the box – no fuss, no adaptors required, and no need to cut any panels on the vehicle for fitment. 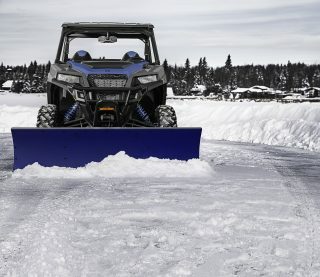 Conquer the snow with the Glacier Plow system, designed to seamlessly integrate with the Polaris machine for ultimate convenience when you need it most. both the top-of-the-line Glacier Pro HD and outstanding value Glacier HD plow system are available to help shift the Winter’s worst. Each plow has integrated Lock & Ride attachment points and a cleverly-designed auto-retracting kickstand, which means it conveniently attaches to the plow frame when driven up to so no time is wasted with difficult hook-ups. Choose from a flexible Polyethylene blade, that’s easy on plowing surfaces and has non-stick, non-rust properties, or a rigid, tough Steel blade, that will withstand demanding plowing. 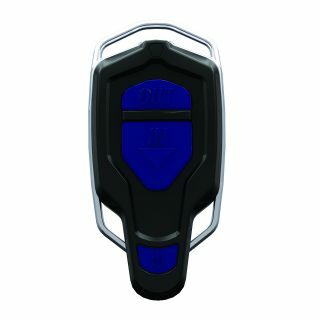 Both blades cover a large surface area and have forward-facing corners for maximum plowing performance and impact. A plow blade however, is only as strong as it’s frame – Polaris Engineered plow frames are wide-set and made of robust steel with rust protection for year-round use and dependability even with the toughest plowing. Whether it’s a steel or polyethylene blade, control the plow with ease using convenient hydraulic systems for both plow lifting and angling. The Glacier Pro HD Plow Hydraulic lift system can be installed as an alternative to using a winch for lifting the plow. The Glacier Pro HD Plow Hydraulic angle system can be installed for angled precision and increased capability. The plow can be easily manoeuvred without the need to move from the driving seat with the simple power controller, compatible with both hydraulic systems to lift or change the angle of the plow. Polaris Engineered Pro Heavy-Duty winches and Glacier Plow systems are available for Polaris RANGER, RZR, GENERAL, SPORTSMAN and ACE models. Please check with your local Polaris ORV dealer to check full compatibility. 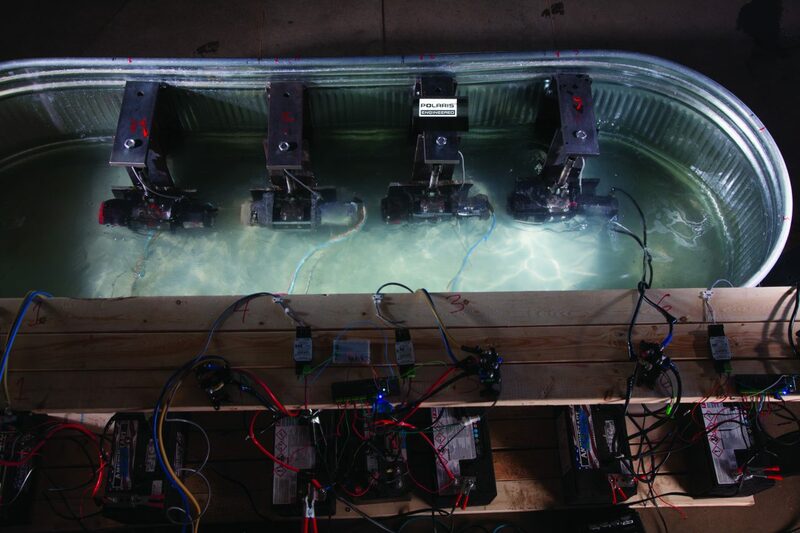 6,000lb (2,722kg), 4,500lb (2,041kg) and 3,500lb (1,588kg) winches available.